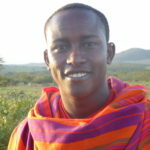 Namayiana Safaris - Be part of the Maasai Experience! Namayiana Safaris offers you the perfect combination of wildlife encounters with a cultural adventure you'll never forget. Tailor-made Safari tours for every budget and expectations. We also offer Photographic Safaris, Walking Safaris and Hot Air Balloon Tours. Experience Maasai life and traditions first hand. Stay in our villages, learn the skills of the warriors – the “Ol Moran” and have a barbecue in the middle of the bush. There are changes going on and we support our community in finding solutions to actual problems eg. illiteracy or environmental problems. You want to learn about Maasai Culture? I was born just a few meters away from Kenyas Maasai Mara. When I was a child the Maasai community taught me what there is to know about wildlife. Now I love to show you my Kenya – my home! I call Kenya my second home and I love to inspire people to discover this beautiful country. I’m the editor of Namayiana and love to answer all your questions concerning your safari. Hopefully we meet in the Maasai Mara! Looking for the perfect honeymoon special? Say "Yes" in Maasai Style!